Show them what you are waiting for wearing the adidas Y-3 by Yohji Yamamoto® Foundation Track Pants. Fitted waist with zipper and inside hook closure. Contrast piping down the front of the leg. Tonal three-stripes down the leg. 55% polyester, 43% cotton, 2% polyurethane. Machine wash cold delicate, hang dry in the shade. 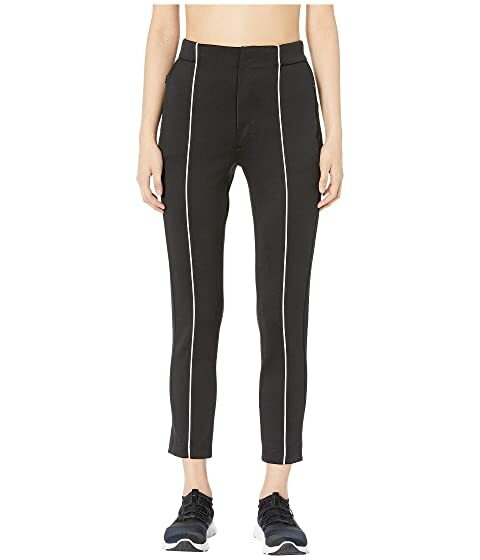 We can't currently find any similar items for the Foundation Track Pants by adidas Y-3 by Yohji Yamamoto. Sorry!